Traffic is stacked up on westbound I-94 from Hwy. 280 over to the Lowry Hill Tunnel, largely due to construction at the I-35W interchange. It's a 10 to 15-minute roll, not bad for the peak of the rush hour. Speeds at 7:50 a.m. are below the posted on I-494 in both directions between Cedar Avenue and Hwy. 169. 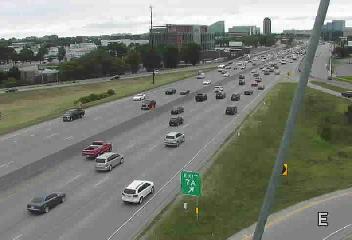 The slowest is westbound right around I-35W and eastbound approaching Hwy. 100. 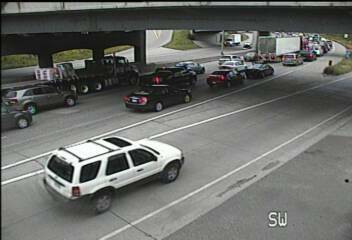 The usual beat down is in place on westbound I-694 across the northern suburbs, with the thickest traffic in both directions from Hwy. 252 to Central Avenue. 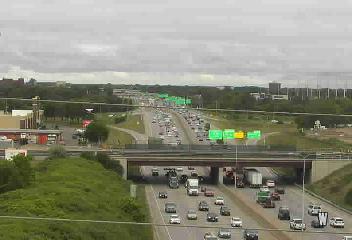 In the south metro, it's tight along northbound Cedar Avenue from Apple Valley up to Old Shakopee Road. Plan on 15 minutes from the river up to the Crosstown. Here is a look at your Twin Cities traffic map.